When some people talk about ‘FOSS’, they’re not always referring to free, open-source software. According to a Fortune article entitled ‘Inside Facebook’, which will become available for reading in full over the next few days, FOSS is also used by former employees to describe people with power at Facebook who have been brought on board by COO Sheryl Sandberg. When they talk about FOSS, it apparently means “friends of Sheryl Sandberg”, people the affable businesswoman knows from her studying days at Harvard, or with whom she has worked at Google or the U.S. Treasury Department, who now hold executive positions at the social network giant. “There’s a term spoken quietly around Facebook to describe a cadre of elites who have assumed powerful positions under the leadership of Zuckerberg’s chief operating officer: They’re FOSS, or friends of Sheryl Sandberg. This is of course something former employees, especially disgruntled ones, will say. None of them are named in the article as far as I can tell, so it’s almost impossible to verify the existence of this “cadre of elites” or the fact that they’re called ‘FOSS’ by some. That said, if you have anything you’d like to share about this, anonymously or otherwise, our virtual doors are open. Interestingly, former employees apparently also told Fortune that Sandberg is so engaged with “extracurricular activities” that it’s interfering with her day-to-day involvement with the business, which smells suspiciously like envy. 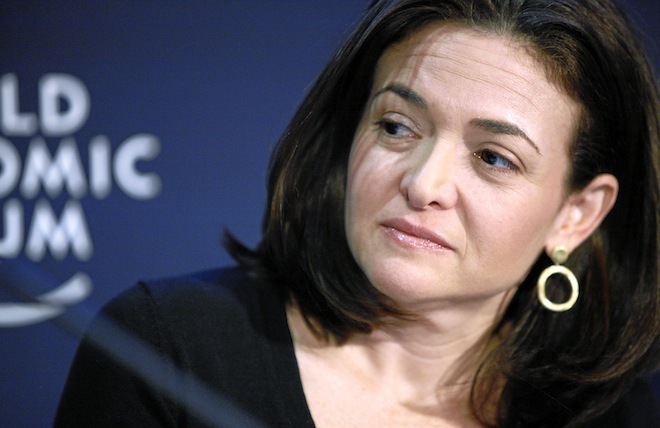 Be that as it may, in a recent regulatory filing – as the company plans to go public at a mind-blowing valuation – Facebook said it agreed that Sandberg will continue to hold speaking engagements and lectures as long as those activities don’t interfere with her duties as chief operating officer. Facebook said that it had reviewed those “activities” and believes they “will not significantly interfere” with her responsibilities. I, for one, am looking forward to reading the entire Fortune article.